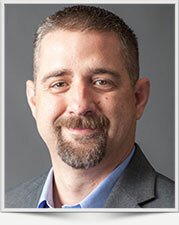 As a project manager, Brock Tucker has over 18 years of experience with managing and working with a variety of underground storage tank (UST) and RCRA Facility investigations, landfill closures and post-closure monitoring/compliance, remedial design and remedial system implementation/installation projects, NPDES permitting, various types of media sampling, and reporting, Leak Detection and Repair (LDAR) testing, risk assessment, MACT air permitting/compliance, waste delisting and management, report and work plan writing, and UST compliance audits. Brock has managed several landfill closure projects and is currently managing closed landfills in post closure care as wells as petroleum remediation sites throughout Kentucky. In his management of the landfill and other remediation projects, he has prepared project budget and reserves, work plans, routine and non-routine monitoring reports, waste reports, Discharge Monitoring Reports, and project management plans keeping focused on project budgets. Brock also has worked with Voluntary Remediation projects in West Virginia and implementing various remediation plans and strategies in the Voluntary Remediation Program as a Licensed Remediation Specialist. Brock has managed, prepared reports, scheduled work, and developed remedial strategies for over 80 underground storage tank (UST) and other industrial sites in various stages of environmental investigation from initial assessment, corrective action, and final site closure in Kentucky, West Virginia, Ohio, and Virginia. Coordinated fieldwork, monitored various types of drilling (hollow stem auger, mud and air rotary, direct push, and hand auger) and environmental related field activities, conducted, managed, and coordinated multiple groundwater and soil sampling events, conducted soil vapor and indoor air testing, and logged soil data during drilling activities. He is knowledgeable of state and federal environmental laws and regulations. He has worked with reimbursement agencies in Kentucky and Ohio to reclaim corrective action costs on UST projects. Design, engineered, performed troubleshooting, and installed various types of remediation equipment and systems. He has implemented and developed expertise with various remediation technologies including soil excavation, recovery trenching, pump and treat technologies, free product recovery systems, nutrient injection, accelerated and monitored natural attenuation, multiphase vacuum extraction and treatment, and air sparge and soil vapor extraction. Brock has significant experience associated with UST compliance, environmental assessments, ecological and human health risk assessments, and animal and plant identification for biological assessments and impact studies. Prepared laboratory instructions for oral presentations to four parasitology laboratories for senior and graduate level students. Oral instructions were supplemented with live class necropsies on various mammals, amphibians, reptiles, and fishes to demonstrate living helminths and the presence of blood protozoans. Prepared and recorded many different kinds of parasites for the general parasite museum collection. BS, Biological Sciences, Minors in Chemistry and Botany, Marshall University, 1995. Ohio Valley Chapter Chairman, West Virginia Ducks Unlimited. Managed field staff in a RCRA Facility Investigation (RFI) at a former landfill in Kentucky for a major oil company, prepared a Conceptual Site Model (CSM) and assisted in presenting CSM to KDEP. Also, presented remedy which included capping using an asphalt cap and monitored natural attenuation of groundwater showing that risks were acceptable and product could be left in place. Remedy was accepted by KDEP and project is now in post closure. This approach resulted in significant cost savings to project versus installing a traditional cap, more extensive corrective actions, and more involved monitoring program and the client is able to utilize the “cap” (asphalt lot) for storage and warehouse space. The potential cost savings for the client was estimated between $125,000 and $200,000. Managed a Kentucky landfill in post closure care in which F039 landfill leachate is treated and discharged to a permitted KPDES outfall. System redesign was accomplished that allowed a reduction in the number of spent filters that are classified as F039 hazardous waste. The spent filters were then sampled under a no longer Contained-In Determination (CID) and were declassified by the KDEP. The result of the reduction in spent filters and CID approval saved the client over $25,000. Served as a project field coordinator for an Interim Measures study for a former surface impoundment area in Kentucky. Coordinated and implemented approved investigation work plans and prepared and assisted in the IM Report that involved a CSM that would allow product to be left in place. No additional corrective action required as product in place was not migrating and human health risks were acceptable. CSM was approved by KDEP and no further product recovery was required and capping followed by groundwater and MNA monitoring was approved. Managed a comprehensive Site Assessment project at a petroleum terminal site and surrounding property in West Virginia which Rapid Optical Screening Tool (ROST) and Cone Penetration Testing (CPT) was implemented as an initial screening tool. Given the large area of investigation, ROST/CPT allowed for cost effective identification of impacts and subsurface geological conditions over a broad portion of the properties so that other types of subsurface investigations could be more focused in key areas. Brock then presented that data and supplemental data to the WVDEP in Work Plans that involved reduced number of soil borings and sampling that was approved by the agency. In the same investigation, Brock was able to demonstrate to the agency that the free product at the site (a major risk driver) was contained in place through hydrogeologic features of the site and that the product plume was essentially not migrating and that product could very well be left in place and effectively monitored under a scheduled program. This allowed for the agency to understand the site subsurface conditions and free product to a greater extent. Initially, the agency was not amicable to product left in place but after investigation results were presented to the agency their stance on product left in place has since relaxed and it appears that they will tentatively allow a monitoring phase followed by closure for the properties. As a result of the agency’s stance, product recovery may also be suspended. As part of the same project, Brock reviewed the facility’s existing product recovery pumping operations. He overhauled and updated it to be more effective at capturing product. The result of the product recovery system upgrades resulted in a recovery system recovering nearly 1,500 gallons more over a 6 month period with less maintenance. The upgrades saved the client nearly $40,000 a year in operation and maintenance costs. Constructed a mobile air sparge and soil vapor extraction system for a large petrochemical company in which many of the controls and features allow the user to operate and monitor the system from a remote location. The system also has a unique pulsing capability that reduces unnecessary air sparging that is sometimes an issue with traditional systems. The system is capable of logging operations and system readings over time that can be viewed. The system was installed at a UST site in Kentucky and was able to do much of the monitoring and operations remotely. The system was effective at cleaning up the site and at reduced operation and maintenance costs to the client. Managed field support staff on over 80 UST, projects in Kentucky, Ohio, West Virginia, Pennsylvania, and Virginia for a major petrochemical company in which many UST field investigations, closures, groundwater and soil WVDEP sampling events, and system installations were conducted.